I am really excited to tell you about a new opportunity that Build a Bear is offering with the Make your own Disney Princess Palace Pets. The pet we choose was the Aurora's cat Beauty but they also have Snow White's Bunny Berry, Aril's cat Treasure, and Cinderella's puppy Pumpkin. All of these pets are available at the build a bear workshop. Guests can dress their pets in a variety of clothing and accessories. · Guests can extend their fairytale by making any furry friend a princess with Disney Princess costumes for favorite characters including Ariel, Aurora, Belle, Cinderella, Jasmine, Rapunzel, Snow White and Tiana ($16 each). She was really surprised when she got home from school I had a surprise for her and she carries this cat around everywhere with her she is so proud of it. Beauty the cat was beautiful when we took it out of the box. Her shoes and outfit were adorable and Jordyn loved it. Beauty is the loveliest kitten in the land, with long pink fur that shimmers and shine. When she is not napping on Aurora's lap, Beauty can be found playing outside in the sun. Aurora met Beauty one warm spring day while on a walk in the garden. The sleepy kitten was snoozing beneath some flowers when Aurora scooped her up. It was friends at first sight for both of them, and they've been enjoying days together ever since. Would you like to win a $25 bear buck gift card??? 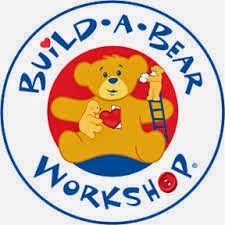 Build-A-Bear Workshop to experience the magic of creating their own furry friend! Enter the Rafflecopter Below for your chance to win!!! DDs have rainbow bears from Build A Bear. My daughter has Disney Princess bears. My daughter has a couple of the dogs. We do not have any build-a-bears but my 8yr old daughter would really love to have one. 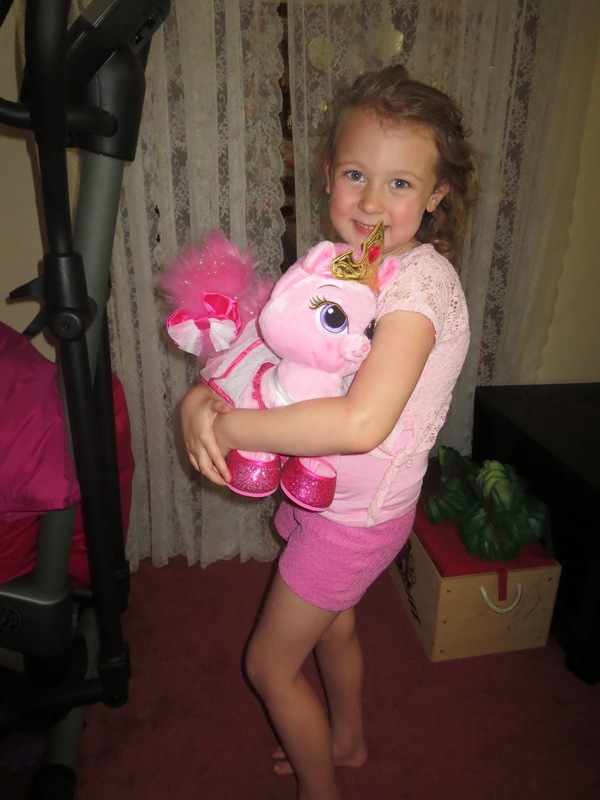 She would especially love this pony! She's been asking me to take her but I'm just too broke! This would be a great treat and mother-daughter activity. She has a new baby sister and we haven't been able to do much together since. My son has a build-a-bear stuffed dog named Goldie. I do not have a Build-a-Bear, but would love one! We have a cupid bear for one gal and treasure (a palace pet) for another. I know my niece would love one! We have a stuffed dog! no, but would love to get my daughter her first one! I don't have one yet....my nieces would love to have one! Took my nephew once - he picked the Thin Mints bear! I don't have a build a bear. I would have liked the captain America bear when it was still available. We have one bear and one kitty! My daughter has several; a rainbow bear, a pug, SpongeBob Squarepants…we seem to get a few each year. Nope, none yet. But my daughter would love to go! I have a white teddy bear.